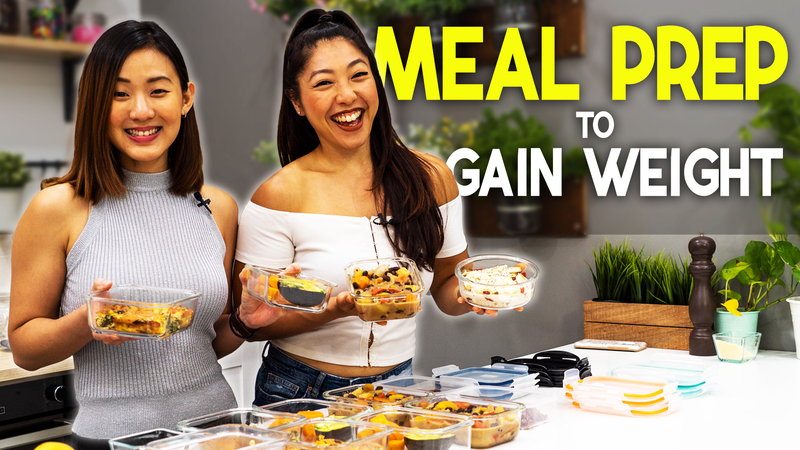 Are you always on the go and missing meals? Do you find yourself munching mindlessly on your desk? I'm going to share with you 10 of my favourite healthy and convenient low calorie snacks, which you can make ahead! Pack these snacks with you to work or school to keep you feeling full and avoid mindless munching. 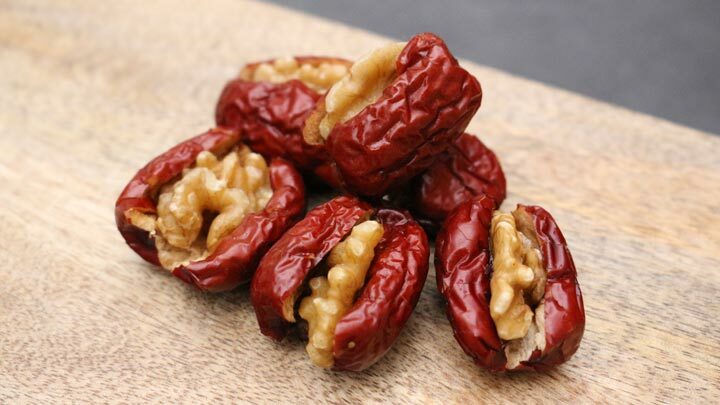 Red date stuffed with walnut is a popular Chinese snack. It's sweet, satisfying and extremely healthy. 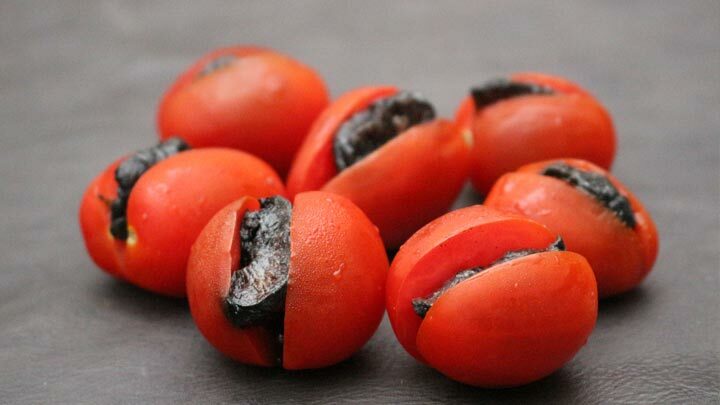 Red dates or jujubees are one of the most popular superfood in traditional Chinese medicine thanks to their rich nutritional values. Combined with walnuts, this snack is packed with antioxidants, fibre and healthy fat. Then insert half a walnut into the red date. Each serving has about 36Cals. 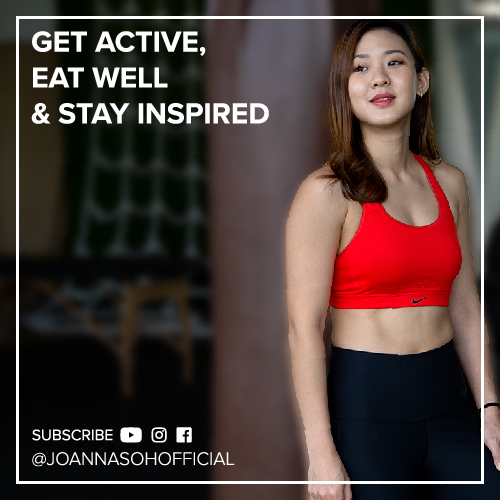 Consume 4-5 servings to keep hunger at bay! If you crave for a chocolate bar, snack on one of these instead! They are chewy, nutty and sweet, but way healthier than the typical high fat high calorie chocolate bar! All you need are 3 basic ingredients. Melt the maple syrup and peanut butter in a pan under low heat until smooth. Don’t let it overheat! Turn off the heat and add in the oats, cocoa powder and sunflower seeds. Mix them well. Then simple shape them into bite size balls. Chill in the refrigerator for about one hour or until firm. 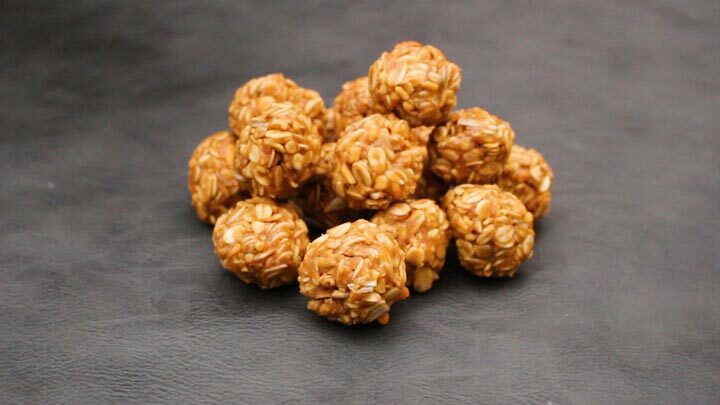 Having just 1 oat ball provide you with only 60Cals and it’ll satisfy your sweet tooth! Seaweed is a great low calorie snack. 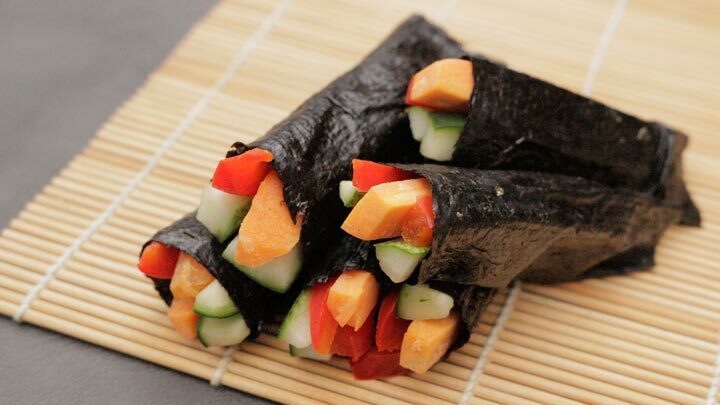 At only 5 calories per nori sheet, it's a great alternative over crisps. You can consume them in abundance without worrying about your waistline! Roll 1 nori sheet with the chopped up vegetables. Each tablespoon only has 10cals vs. 94Cals per tbsp. of Mayo or 73Cals per tbsp. of ranch dressing! Split peas are a very popular snack in the Indian culture. These split peas are high in fibre, protein but low in fat. They are also a great way to promote healthy digestion. Soak split peas for at least 4 hours of overnight. Then drain the water and pat dry. Over medium-high heat, coat the pan with olive oil. Add the split peas and stir frequently until golden in color and crunchy in texture, for about 7 to 10 minutes. Remove from pan, and allow it to cool down. 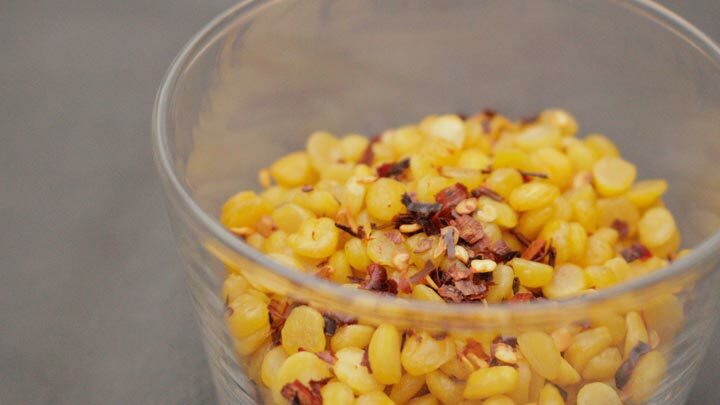 Season with a little of chilli flakes and store in an air tight container. Another of my favourite portable snacks are plum stuffed cherry tomatoes. This snack is so convenient and gives you the quick energy boost you need on the go. Slice the cherry tomato to create a small pocket. Insert a small piece of plum into the cherry tomato. 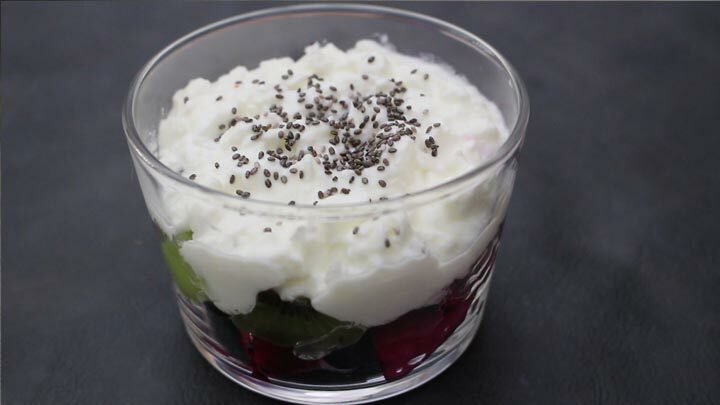 Instead of buying high sugar flavoured yoghurt pot, make your own with natural fruits. When you're feeling peckish, simple mix the yoghurt and fruits together! Mix together about half a cup (or more) of your favourite fruits. I used dragon fruit, black grapes and kiwi. 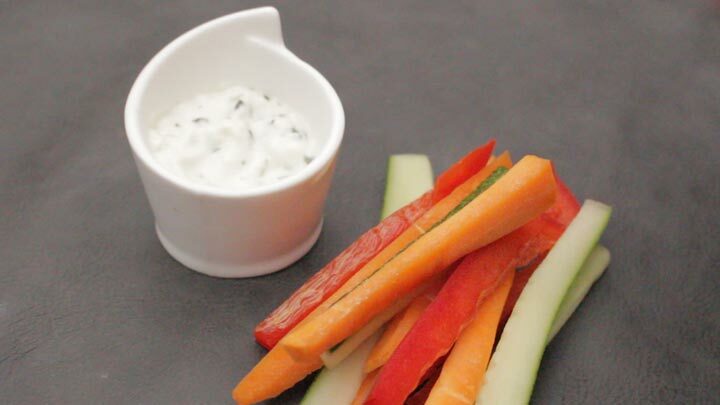 Top it up with ¼ cup of greek or plain yoghurt! I like to separate the fruits from the yoghurt to keep them fresh. Plus, can prep these portable snack boxes ahead. Instead of spending unnecessary money on packed trail mix, make your own instead! Simply choose a combination of nuts, seeds and dried fruits. Easy & cheap! Nuts are packed with nutrients but they are calorie-dense. To avoid snacking on the entire bag, be sure to measure them out! Each 1/4 cup serving has about 140 - 170 calories. 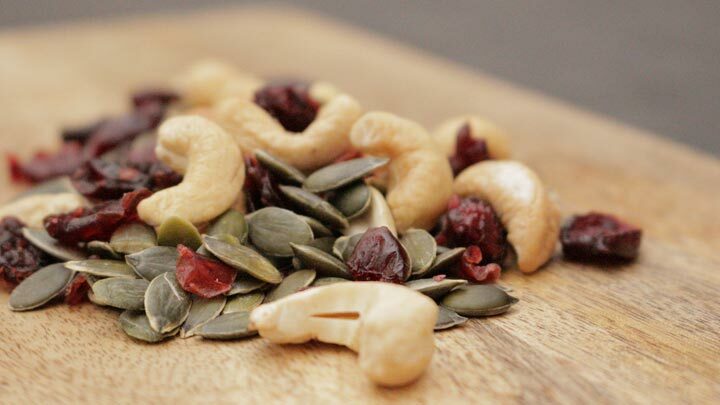 My favourite combination includes cashew nuts, sunflower seeds and dried cranberries. What's your favourite? 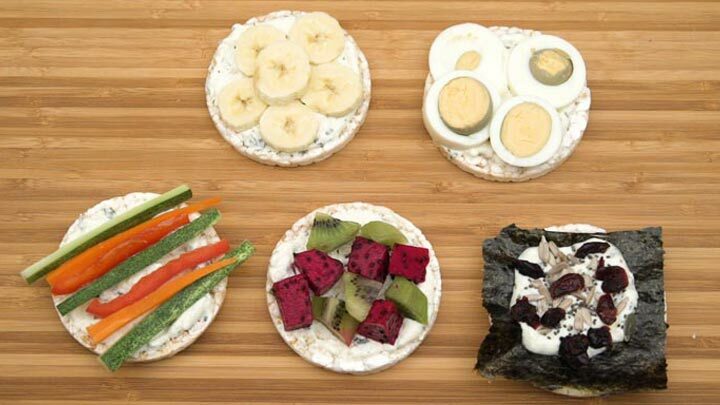 At only 29 calories per rice cake, they are a greatly satisfying low calorie snack option and you can top them up with anything you want! A combination of complex carbs and protein helps to keep your blood sugar level stable and feeling full for longer. Plus it’s gluten-free! Here I’ve topped them up with sliced bananas, vegetables, egg, fruits, chia seeds and cranberries. What's your favourite topping? 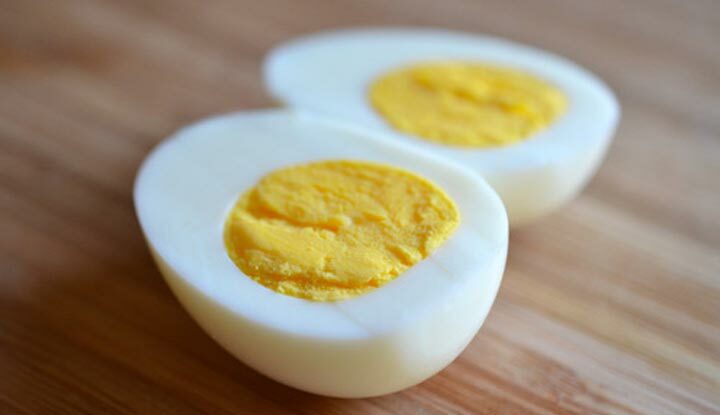 And the final snack is simple a hard-boiled egg! Yup they are hassle free, high in protein and consuming one egg can shut your grumbling tummy at work and keep you going through the day!